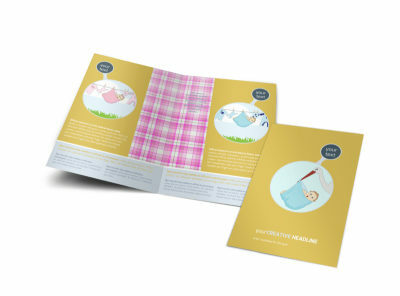 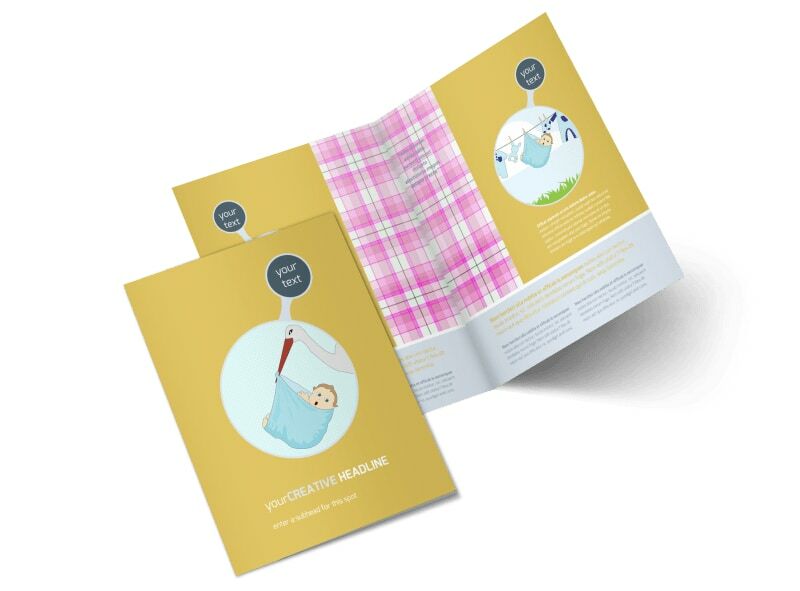 Customize our Baby Shower Brochure Template and more! 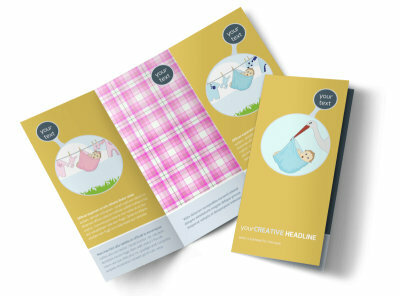 Show expecting parents just what types of baby showers you're capable of throwing for them with a unique brochure designed using one of our templates. 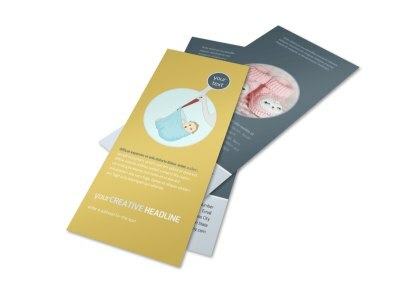 Choose either a bi-fold or tri-fold template and use our online editor to customize it with photos of past showers you've thrown as well as text detailing what services you offer and available pricing packages. 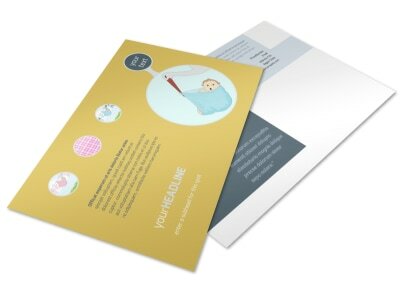 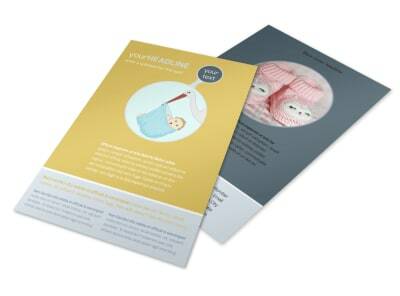 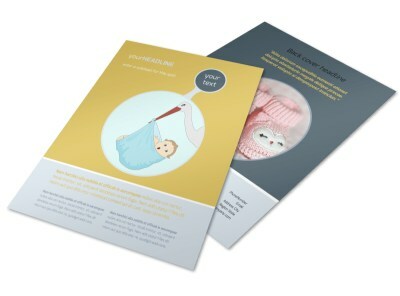 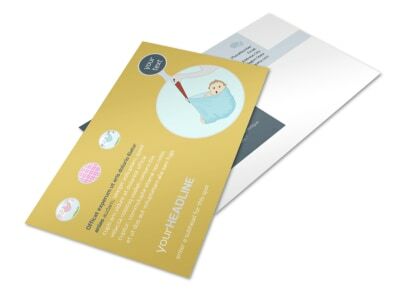 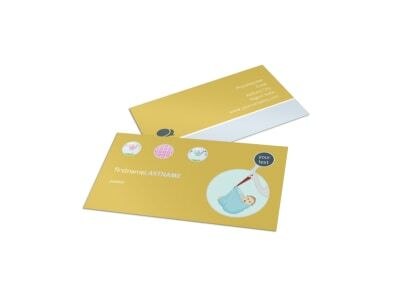 Print your baby shower brochures from any location or use our pro printing services to print your brochures for you.